Although this overlaps the author’s earlier The Girl Who Stole Herself, reading the earlier story isn’t important for enjoying this one. 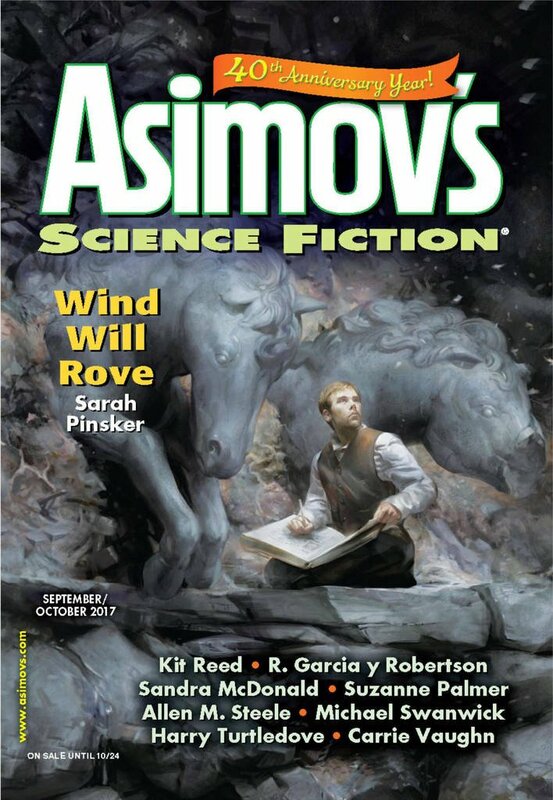 "Grand Theft Spacecraft," by R. Garcia y Robertson [bio] (edited by Sheila Williams), appeared in Asimov's Science Fiction issue 09-10|17, published on August 17, 2017 by Penny Publications. 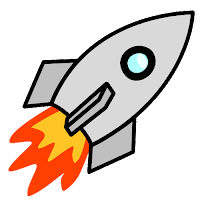 As far as the plot goes, Cole’s goal is to help Randi Lynn thwart the invasion of Callisto. That succeeds, but it’s almost beside the point. With this story, the journey is the reward. Con: Cole is a puppet, doing the bidding of Jazmyne (for the most part). Their success owes little to his efforts, and Jazmyne even knows better than to keep him informed of the plan.